Please contact us if you are interested in an adult dog or a puppy. We do have younger puppies available now that are different ages with different levels of training, started in crate training, vehicle exposure, different environments, food positive training, etc. If you are looking for a trained puppy, look at our puppy page for more details. We are located in the beautiful Niagara Peninsula of Ontario. We can ship world wide, we have our puppies now in 7 countries. These puppies would make great family companions or working dogs in many different areas. We have sold to the highest levels of Law Enforcement and continue to have a good relationship with them, as our puppies and dogs are of superior nature. We currently have some young adults for sale. If you are serious about buying a dog with training already started, please contact us... These dogs are not rescues, unwanted, returned with problems, feral, etc... - so please understand we do not sell them at puppy prices or less.... It takes a great amount of time, energy and money to raise, maintain and train a dog properly, to feed it high quality food along with proper vet/health maintenance. 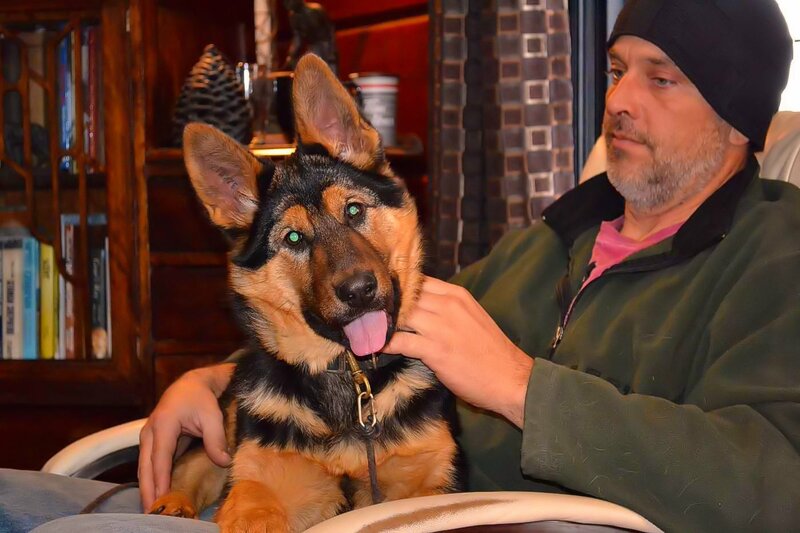 Lexi - 6 mth female ($6500.00)- SORRY- SOLD Lexi is a sweet female ready for her forever home, she is great in the house, great with other dogs including small dogs and loves to do just about anything you want to do. She is always game, but can easily settle in the house and has a great off switch. She has lots of obedience training, is excellent in the vehicle and in new surroundings. This is a very sweet 18 mth old female. 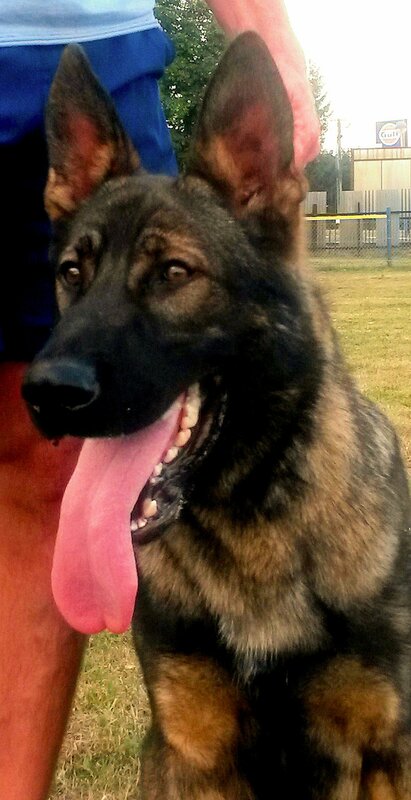 Has an excellent temperament, extended training and also should go to an active family. She has an excellent temperament and has very calm nerves. Loves to go for her walks and do her training sessions, but enjoys being at your feet at night to relax with you. 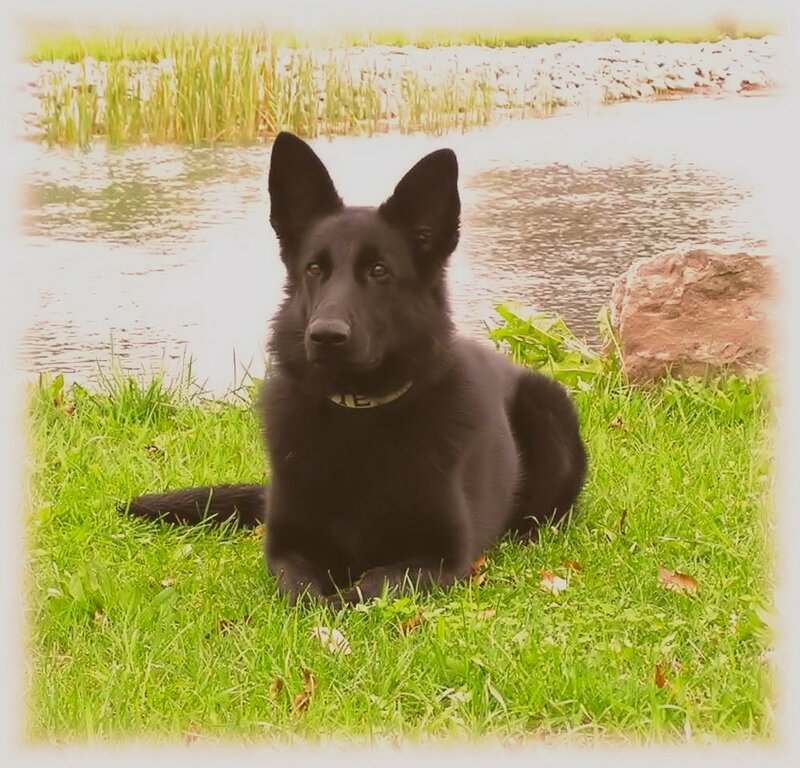 This guy is a black sable male, is very large and great looking, shows excellent temperament, training is superior and he has an awesome character, He is a big boy so strong handling is a must, should go to a working home or active family as he does not want to sit around and do nothing. He needs to live a purposeful life. Contact us if your interested in a trained puppy or an adult from our breeding or an import from Europe.